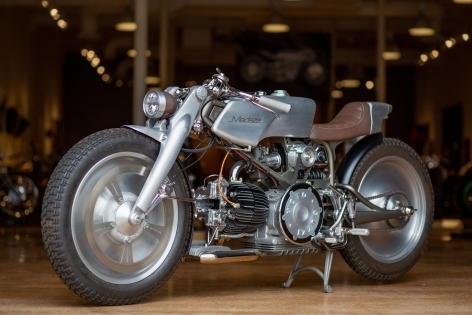 Motorcycling is a passion that exerts an intoxicating grip on any soul it touches. 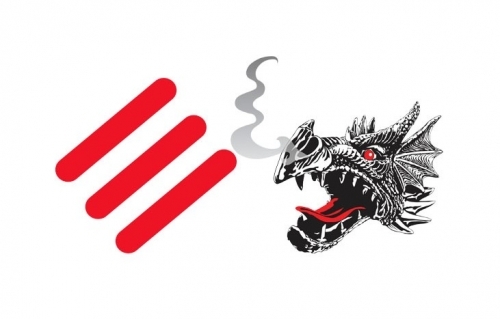 But you need not twist a throttle or feel the road below to experience the passion or feel the raw escape. 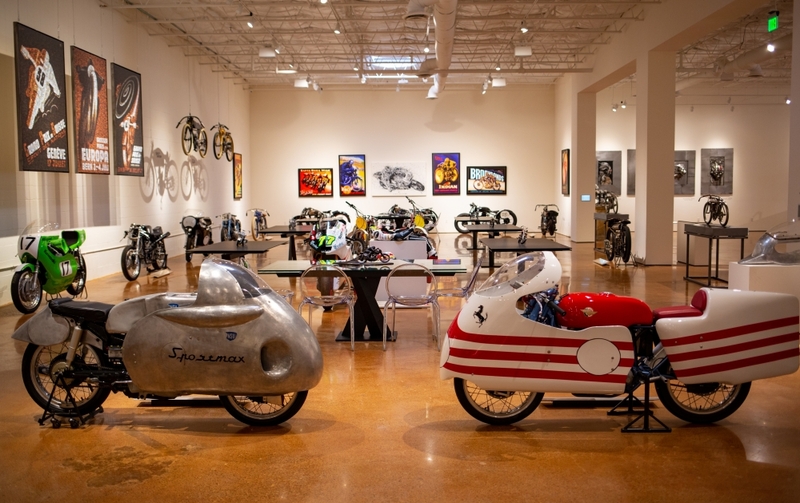 Just walk through the expansive portal of The Haas Moto Museum, and you will instantly feel its grip. 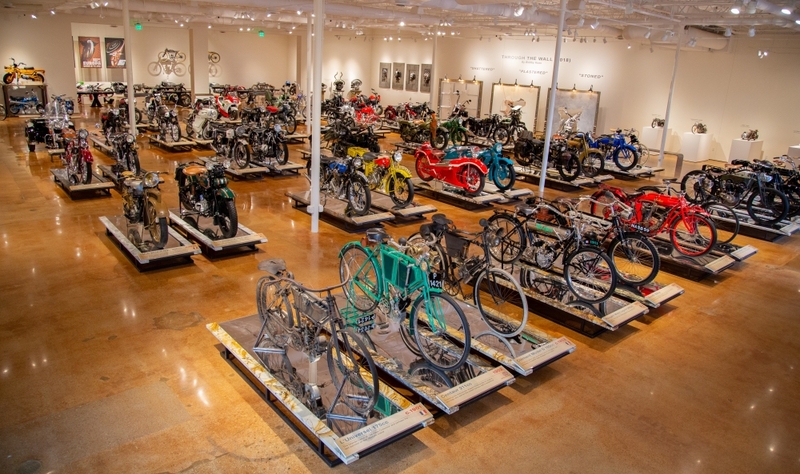 The sheer expanse of The Haas Collection, with over 190 motorcycles spanning 12 decades, housed in the Museum and the adjacent Dragon Gallery, is a joyous revival of a cultural phenomenon that continues to evolve to this day. 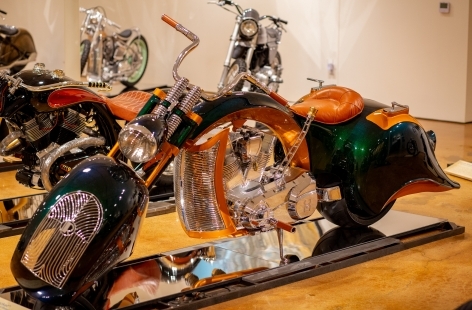 From the time when a crude gas tank was first strapped onto a bicycle frame to the creation of radical new designs that push the outer limits of the imagination, The Haas Collection has no equal anywhere, with its seemingly endless array of truly unique motorcycles embedded in two venues of unparalleled beauty. 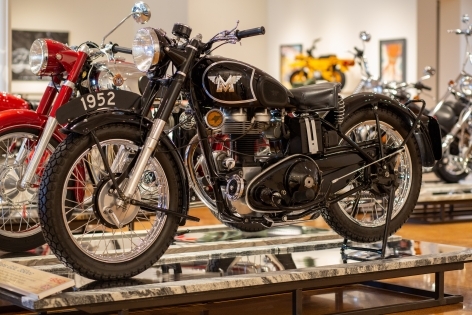 Not only does the Collection immerse you in the evolution of motorcycles from 1901 to the present day, it unveils an unparalleled collection of 37 one-of-a-kind motorcycles—a dazzling testament to the Renaissance notion of inventors creating art for the sake of art, with no blueprint or predecessor to guide their hands. 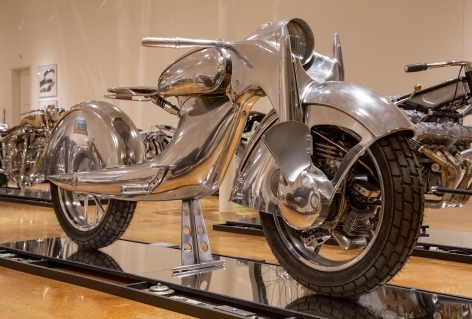 Step into a world where the fantasy of limitless speed blends with the reality of mechanized motion, where the cycles are elevated on custom platforms and surrounded by one-off metallic sculptures that enliven the total experience. And when you experience this gem of a Collection, the word connectivity will no longer mean what it did when you entered. It will not refer to emails or texts—it will instead bring to mind generations of escape artists connected only to the ribbon of road that unraveled beneath their feet and the wind and the scenery that were their constant companions. 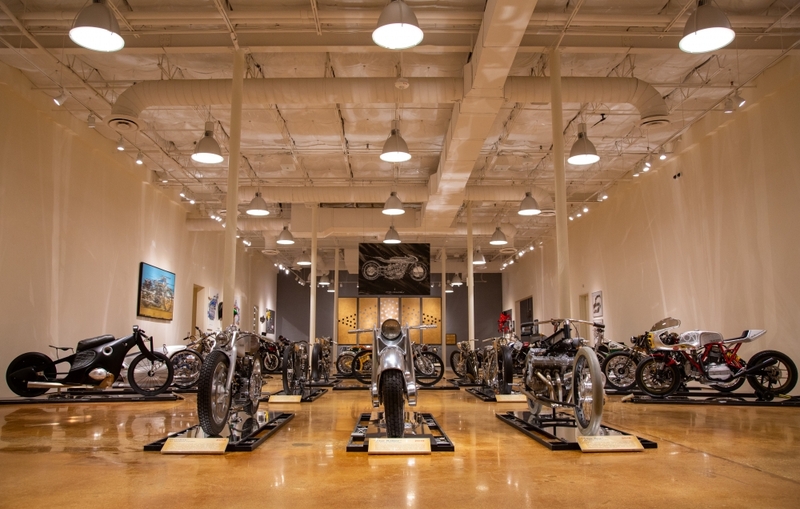 The expansive 20,000SF Haas Moto Museum & Sculpture Gallery, with its 130+ cycle Collection and a premier array of metallic sculptures, is designed in an extremely user-friendly way so as to provide our guests with a comprehensive yet straightforward exposure to the major facets of motorcycle culture. 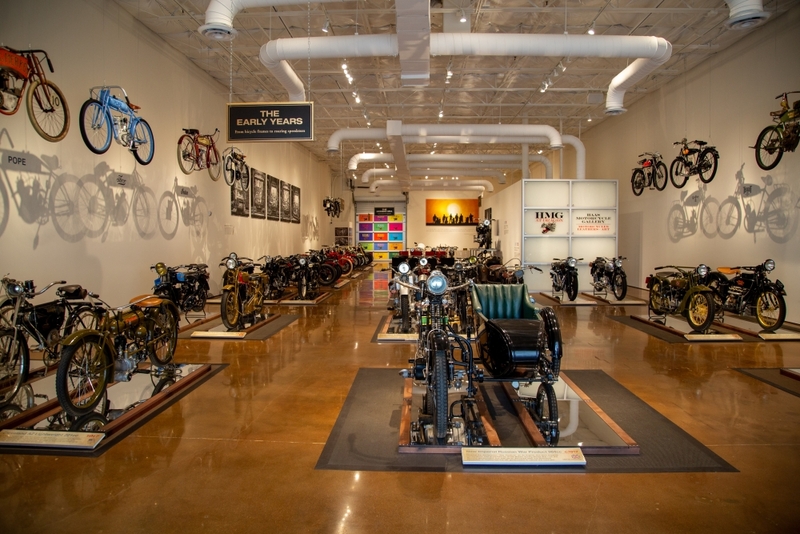 History Hall offers a leisurely stroll through the entirety of motorcycle history, arranged in chronological order from the early 1900s versions with gas tanks strapped onto bicycle frames to the throbbing power stations of ultra-modern road warriors. The cavernous contours of History Hall afford each cycle ample room to breathe aboard its custom-designed platform. 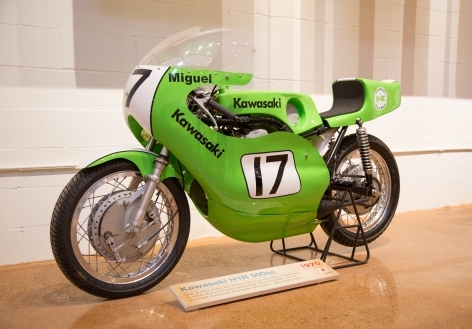 Regardless of whether you are a newcomer to this world or a moto aficionado, the diversity of 67 motorcycles in History Hall will leave you breathless, convinced that no other place in the pantheon of motorcycle museums may boast such a collection. Arranged in an oval representative of the early board tracks, The Race Track exudes raw speed, with a palpable sense of the few souls hardy enough to take flight at great risk to life and limb. 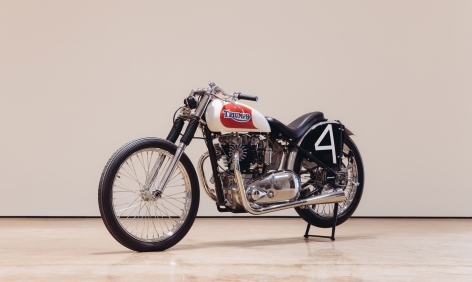 Spanning over 100 years of racing prowess, this exposure to the culture of motorcycle racing offers a distinct glimpse into a world where the ghosts of the past and the speed merchants of modern times mingle together as members of one continuous breed of man-and-machine. 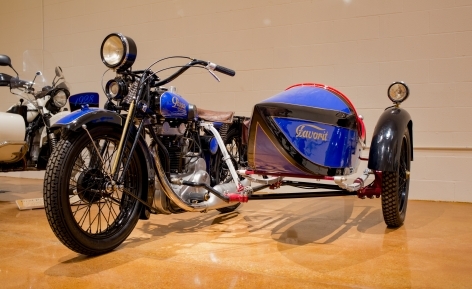 Bridging the transition between The Race Track and The Custom Shop, the area known as Sidecar Alcove is a tribute to the segment of motorcycle culture where three-wheeled machines afforded a spacious compartment for companions. 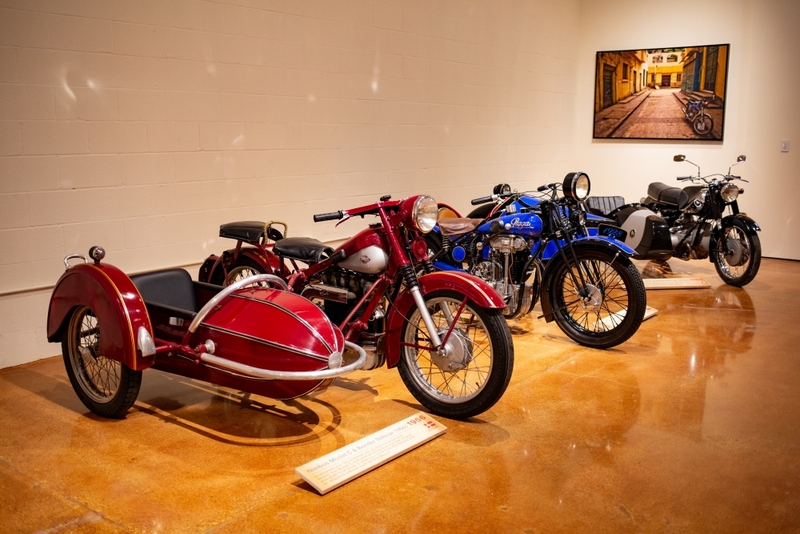 Sidecar Alcove is populated with representatives from Russia, Germany, the Czech Republic, France, England, Denmark, Japan, and Italy … evidence that the unique desire and demands for sidecar transport represent a universal theme. 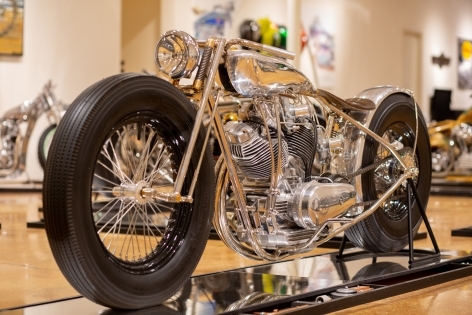 The Haas Museum devotes an uncommonly large portion of its space to the 37 (and growing) occupants of The Custom Shop, a clear acknowledgement that the design and fabrication of one-off custom cycles in some sense represents the very pinnacle of motorcycle design and engineering. 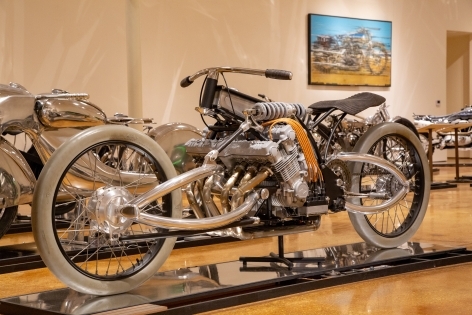 No other motorcycle museum in the world may boast a collection of sheer creativity and artistic excellence that rivals The Custom Shop at The Haas Museum. 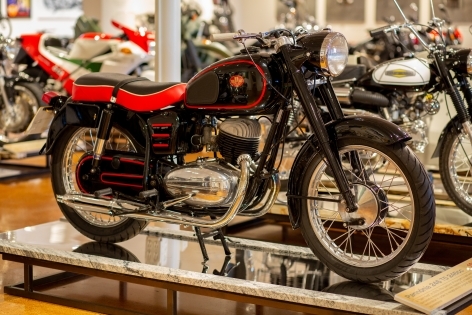 The Haas Motorcycle Gallery at Dragon (located just two blocks from the Museum) offers its own extensive collection of 54 rare cycles. 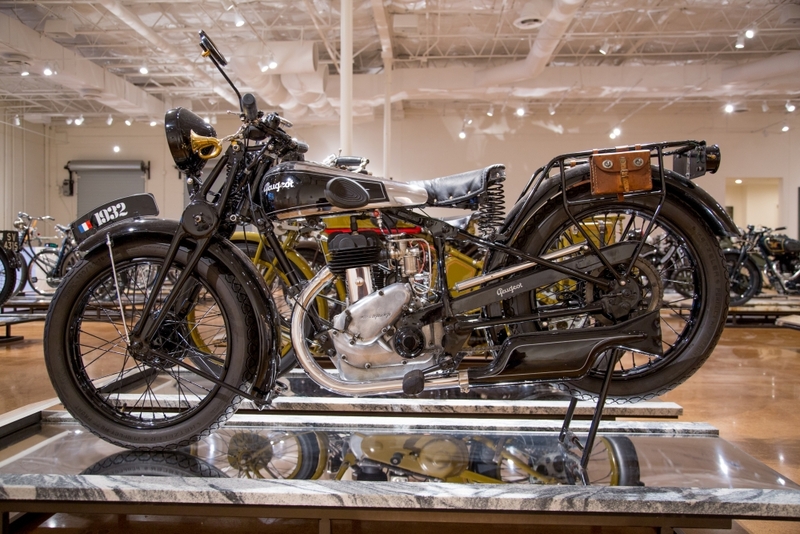 The centerpiece of the Gallery features the ultimate “Rolls Royce” of motorcycling – a 1938 Brough Superior SS80 accompanied by a “barn find” Brough Superior petrol tube sidecar.